GroupTools, built for group leaders and attendees, is an easy way to plan, manage and attend group events. We offer several different options to create an account with GroupTools. You can create your own account using your email address and creating a password. In addition, we offer the options of logging in with Google, Amazon or Facebook by simply using your email/mobile phone number and password associated with that account. When creating an account, you will need to provide your First and Last name, a valid email address and, creating a password unique to you! We also give you the option of adding a phone number for yourself however, that field is optional. When creating your password, it must be at least 8 characters long and contain an upper case letter, a lower case letter and 1 number. Once you enter the required information (don’t forget to agree to the terms and conditions) and click “Create Account” you will receive a notification that your account has been successfully created. You will have the option to either send a verification code or skip the verification code and continue to your account. The verification code that will be sent will be valid for 24 hours. It is highly recommended that you choose to enter the verification code in order to enjoy the benefits of GroupTools. By choosing that option, you will receive a verification code sent to the email used to register with GroupTools. Once you open the email, simply enter the verification code in the box provided to verify your account. Keep in mind this code is case sensitive and would need to be entered exactly as it is shown. Once on our Log In page, simply click “Log in with Google” and a pop up box will appear and prompt you to enter the email address or phone number registered with your google account. Once that is entered, you can enter the password also associated with that google account. Once you enter the correct information, you will be asked if you want to allow to view your contacts and also view users on your domain. In order to proceed, you will need to click “Allow”. If you have already logged in with google on your device, you will be prompted to choose the google account that you would like to log in with. Once you choose the account you want to use, you will then be prompted to enter your password for that account if you are not logged into that email at that moment. Now that you have entered your Google password, you can choose to continue to use that password by leaving the password fields blank or you can add a password to your new account to log in directly (without Google) if you choose. Once on our Log In page, simply click “Log in with Amazon” and an Amazon pop up box will appear to allow you to log in with your Amazon credentials. You will enter either the email address or phone number associated with your Amazon account. Once either of these pieces of information has been entered, enter your password and GroupTools will ask if you will allow access to your profile. You must click “Allow” to log in. Now that you have allowed access using your Amazon account, you can choose to continue to use that password by leaving the password fields blank or you can add a password to your new account to log in directly (without Amazon) if you choose. Now that you have allowed access using your Facebook account, you can choose to continue to use that password by leaving the password fields blank or you can add a password to your new account to log in directly (without Facebook) if you choose. Congratulations!  You have now successfully created an account with GroupTools!